This 6 week intermediate level class builds upon the ensemble improv techniques set forth in B.I.T. Level One. Areas of focus include: character work, status, medium and long form scenes, and much more, all while embracing the “strong and wrong” and learning how to figure it out together. This class, taught by LOM co-founders, Nolan Kennedy and Scarlet Maressa Rivera, is the next step in the process of creating spontaneous work as a cohesive ensemble. The 6 week course will culminate in a ​public showcase on February 13th! 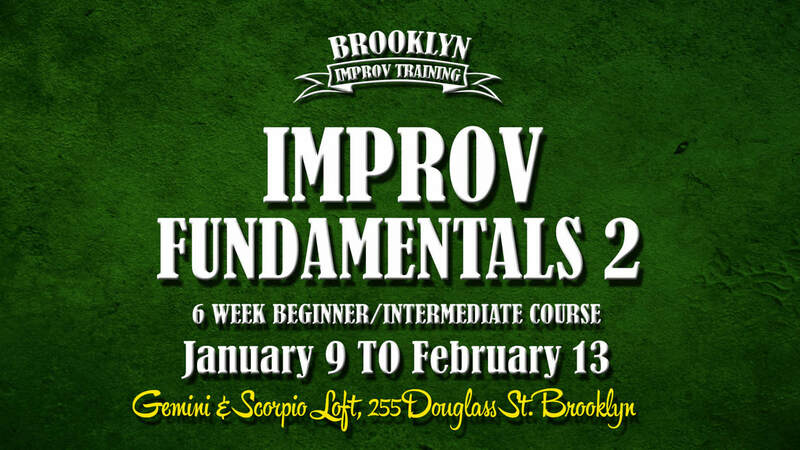 Level One Brooklyn Improv Training or related improv experience is required. If you haven't taken class with us before but feel you are ready to jump into Level Two, ​please email us at info@lomtheater.org with your resume/improv experiences. 75% refund before the first day of class. 50% refund before the second class. No refunds after you take the second class. ​Sorry, we cannot prorate any portion of the class. ​As we are building toward a performance, if you miss more than 2 classes in you will be dropped from the class.